Turning mechanisms provide for a curvilinear motion of the tracked vehicles through variations of tractive force and track rotation speed along the sides. 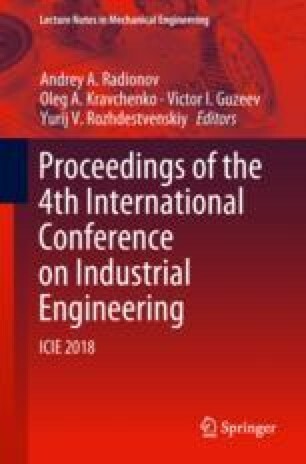 The article defines basic parameters and provides the drawings of kinematic diagrams for hyperbolic steering of tracked vehicles delivering nonlinear relation between the values of fixed steering radius and travel speed. These mechanisms improve vehicle control and time of corner and reduce the likelihood of skidding of a tracked vehicle. This type of mechanisms is characterized by nonlinear (in the examined case—hyperbolic) dependency between values of specified (fixed) steering radius and vehicle travel speed. As a result, the authors develop a methodological framework for drawing kinematic diagrams for hyperbolic turning mechanisms and attain diagrams, which are practicable for the transmission of drives of modern fast (transporting) tracked vehicles. The present research work has been carried out with financial support from the Ministry of Education and Science of the Russian Federation in the frames of the federal targeted program “Research and Development in the Priority Areas for the Development of Science and Technology Sector of the Russian Federation for 2014–2020” pursuant to the project: “The Design of The New Model Series of Automated Boxes Change Gears For Agricultural And Road-Building Equipment In The Range of 140–440 kW, Adapted For Use In Complex Systems Unmanned Tractor” (Unique Project Identifier RFMEFI57816X0213).